1. After We Fall by Emma Kavanaugh | I received this from NetGalley forever ago but have been waiting until it gets closer to its publication date to read it. 2. Angelfall by Susan Ee | I’ve never actually read a book about angels, so this should be interesting! 3. At the Water’s Edge by Sara Gruen | A historical novel by the author of Water for Elephant’s, this one is set in Scotland. It’s about some socialites who are hunting the Loch Ness monster, so we’ll see about this one. 4. 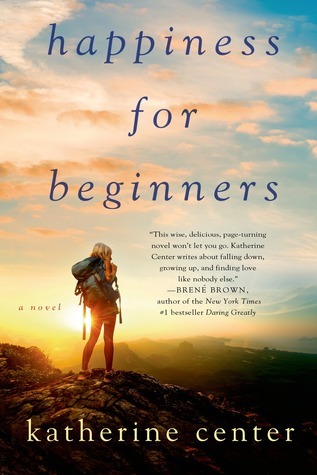 Happiness for Beginners by Katherine Center | There’s something about spring that screams renewal and goals to me. This is about a lady who goes into the remote wilderness for three weeks to find herself (sound like Wild, anyone?) so I’m pretty excited. 5. An Uncertain Choice by Jody Hedlund | I’m most excited for this one. I’m a little nervous it will be a love…square, though. Basically my NetGalley shelf is full of TBRs that I HAVE to read ASAP! 6. Snow Like Ashes by Sara Raasch | This was a belated Christmas present that I got back in late January and I still haven’t read it. I’ve been hearing nothing but rave reviews though! 7. 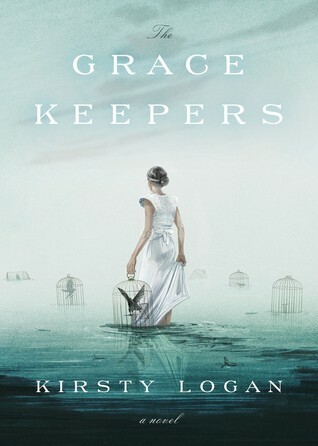 The Gracekeepers by Kirsty Logan | I won this in a Goodreads giveaway and started it in January but haven’t been able to finish it yet, so it’s first on my list! Also, the cover is GORGEOUS. 8. The Glass Series by Maria V. Snyder | I read Shadow Study a couple of weeks ago and it took place after this series so there were a lot of tidbits I didn’t understand. I need to read these 3 books so I can! 9. A Thousand Pieces of You by Claudia Gray | I started this awhile ago as well, and got sucked into it but had to put it down when my schedule got busy. It’ll be nice to finish it! 10. 20 Something, 20 Everything by Christine Hassler | This is described as “a quarter-life woman’s guide to balance and direction” and that is something I’ve desperately been looking for in my life lately. Even though I’m in school and working full time, I feel like I don’t know what to do with my life or where to go from here. Hopefully this helps me as much as it’s helped others! Looks like my Spring Break will be full of fantasy novels! I can’t wait to get a break from school and just READ. I loved “20 Something, 20 Everything,” and now I recommend it to everyone out of college. There are a lot of writing exercises that give you new perspective on the quarter-life. Angelfall is a good book, but the ending is a bit wicked. I’m waiting to read the second and third together.